The Moustache® 15.6” Waterproof Laptop and Tablet Bag is on sale for just $23.99, reduced from the regular $39.99 price this Black Friday sale weekend, November 23 to 26, only at 123Ink.ca! This all-black 15.6” Waterproof Laptop and Tablet Bag feature superior ergonomic design and airflow technology to keep your laptop and other mobile devices cool inside and safe from precipitation. Complete with shoulder strap and as many compartments as possible, it fits a ton of stuff, such as your laptop, smartphone, music player, headphones, charging cables, mouse and keyboard, writing utensils, and more, making it perfect for new college and university students looking to get some relief walking around campus every day with their bags full of tools and supplies. It’s like carrying an office on your shoulder! 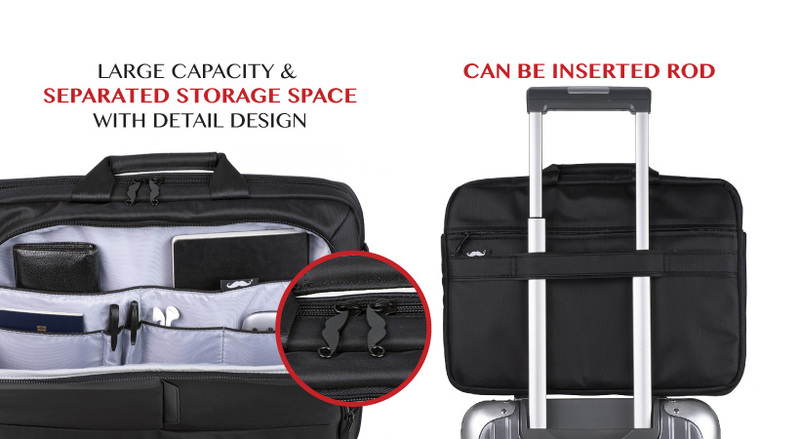 With a double-handled grip, detachable ergonomic strap, and trolley mounting strap for wheeled luggage, this is the most versatile and ubiquitous bag for young professionals, academics, and travellers alike. 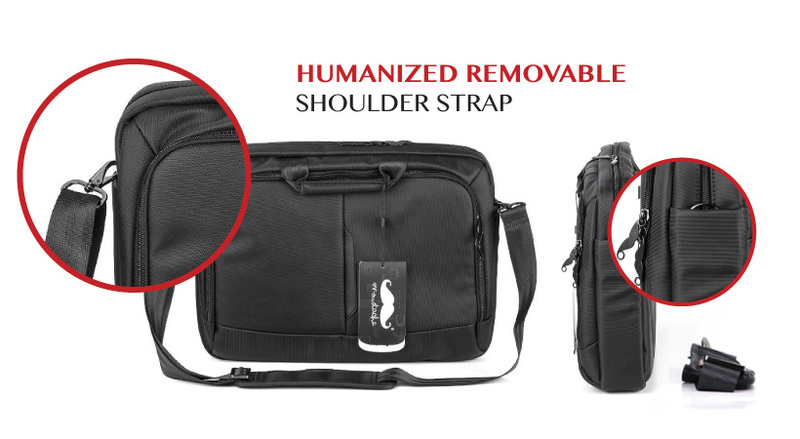 Enjoy the sale while it lasts, on a newly reduced list price, in all likelihood making the Moustache® 15.6” Waterproof Laptop and Tablet Bag the most affordable laptop bag in the country! The interior boasts a mini-airbag-like protection, endowing the satchel with a suspended shockproof design. In the case of an accident during your public transit commute or crossing the street, your electronics and documents will be dry and secure, entirely unharmed by whatever the world throws at you! Sleek and minimalist, the Moustache® 15.6” Waterproof Laptop and Tablet Bag have the look that everyone wants. When you spend $49 or more at 123ink.ca, your order automatically qualifies for free shipping nationwide. So why not double down and order two, one for you and one to gift this holiday season to your son or daughter perhaps, and then browse our massive catalogue of electronics and office supplies to round off the total this Black Friday? We’ve got warehouses located in Montreal and Vancouver, so whether you find yourself in Laval or Sault Ste. Marie, you’ll get what you need in about a week, two weeks at most for remote locations. If you’re shopping last minute, you can always add fast shipping to any item in your shopping cart for just $5.95 and receive it in a day or two, tops. For all the best Black Friday sales and Cyber Monday deals on office supplies, consumer electronics, gears and gizmos, visit us today at 123ink.ca! ...Love blogging, love coffee, love food, love life !